Our Town gives the new mayor an East Side primer. This piece was originally published in Our Town on Jan. 2. Hello Mr. Mayor, Happy New Year and welcome to the Upper East Side. We’re glad you decided to live in Gracie Mansion, but a bit sad that the city will probably no longer be giving tours through what is now your home (that would be weird; you come downstairs one morning and a couple from Toronto are ogling the grandfather clock). There’s something you should know right off the bat: nobody on the Upper East Side voted for you, and they’re still pretty upset about the whole marine transfer thing. But it’s your problem now, too, at least for the next four years. The mayor’s new liquor store? But really, you’re moving into a nice area. You’ll be doing most of your shopping on York Avenue. Between 86th and 85th Street are two nail salons, three cleaners and a yoga studio, if you have need of such things. There’s a Gristedes on 87th Street but a doorman across from Gracie Mansion said the Fairway at 2nd Avenue and 86th Street is cleaner. York Avenue between 87th and 86th Street has a Duane Reade and Bagel Bob’s – a good spot for a quick bite. 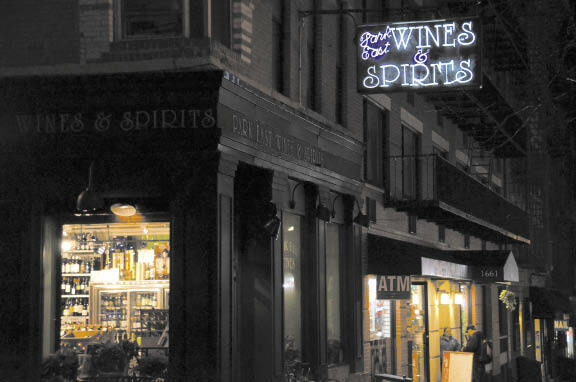 There’s also a liquor and wine store at 87th Street and York Avenue that’ll probably come in handy going forward. York Avenue between 87th and 88th Street has a florist as well as a spa and hair salon for when you need pampering. The shopping north of 88th Street is pretty sparse, but there’s a shoe repair place at 89th that delivers for free. Timmy’s Restaurant at 91st and York Avenue is the nearest proper restaurant and you can work off the pounds at Asphalt Green on 91st Street. They’re pretty peeved about the marine transfer station, though, so maybe you should just stick to running along the East River, at least for the first couple years. The 6 train stops at 86th Street, but you’ll probably take a helicopter to work and land it on your big front lawn – a tale of two yards? On days you decide to schlep it into the office in the back of an SUV try not to snarl traffic too badly. Most people understand the necessity for these accoutrements; you are a pretty important guy now. And trust us, you’re not regarded as some interloper from Brooklyn who stole the election with an Afro and likes the Red Sox. You won fair and square, and the people on the East Side are a reasonable bunch. Plus, it’ll be good to have the mayor in the manse now. The last guy preferred his lavish townhouse on 79th Street. He’s worth about $31 billion and can do things like run the country’s largest city for $1/year. We assume you’ll opt for the $225,000 pay check – money well-earned we say. Anyway, we hope you’ll enjoy it up here and we look forward to seeing you at Bagel Bob’s. Enjoy our neighborhood Mr. Mayor and please keep the dog on a leash at Carl Schurz Park. This entry was posted in Essays and tagged Bagel Bob's, Bill de Blaiso, Carl Schurz Park, Gracie Mansion. Bookmark the permalink. 1 Response to Welcome to the Neighborhood! The page this article appears on could not be found by internet explorer. Was it rescinded?